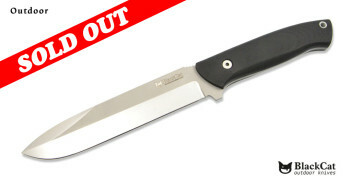 We have last pieces in stock but with engraved logo instead of laser etched! 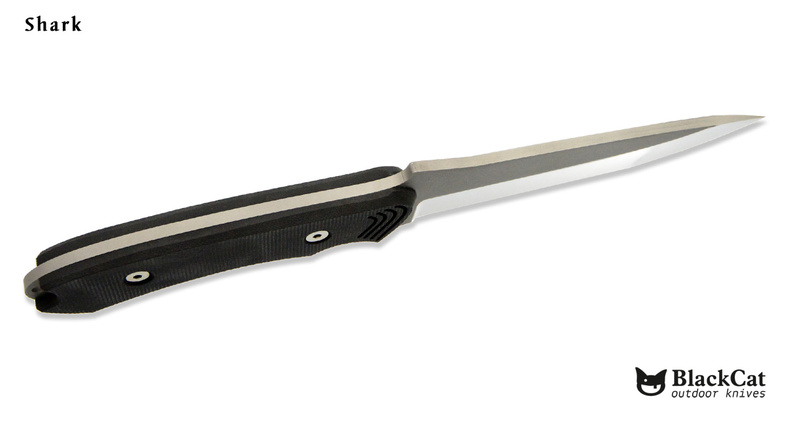 The design of this knife is inspired by the shape of a shark. Along with quality materials, modern sheath and functional design this product will attract fans of modern and imaginative shapes. called G10. 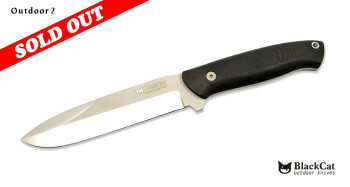 The slim profile of the handle (approx. 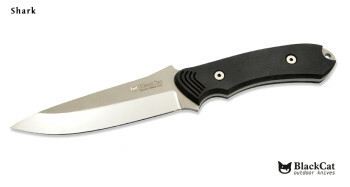 14 mm) and sheath make the knife very compact and comfortable to be worn. 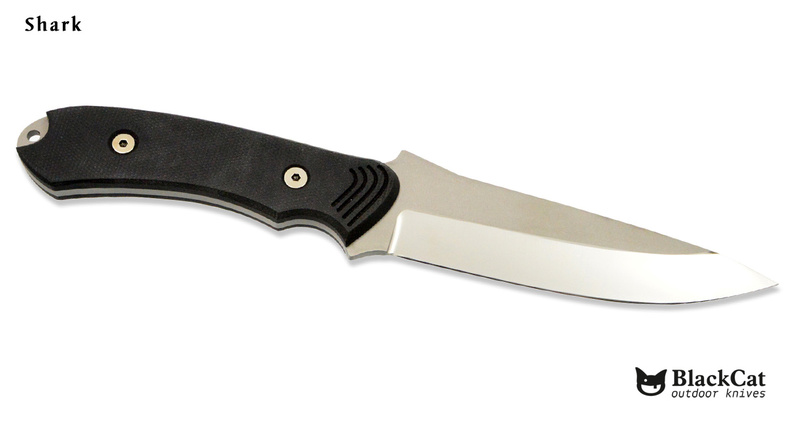 The surface of the handle is softly roughened by sandblasting inspired by the rough shark skin. 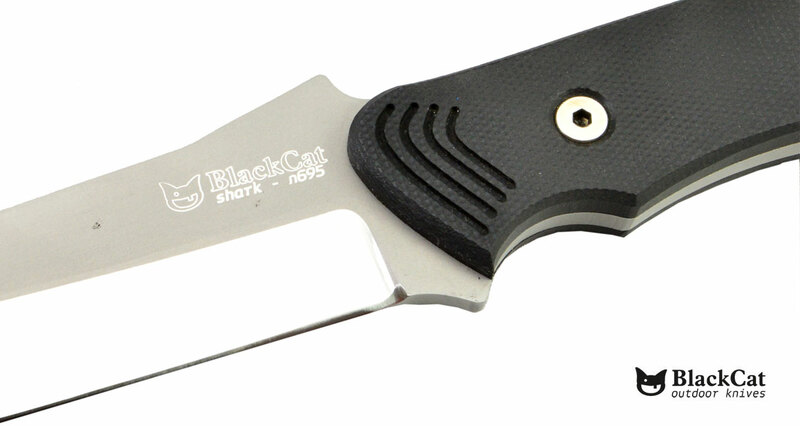 Three milled grooves in the shape of shark gills reinforce the overall effect of the knife. At the end of the handle is a useful hole for attaching a safety lanyard. 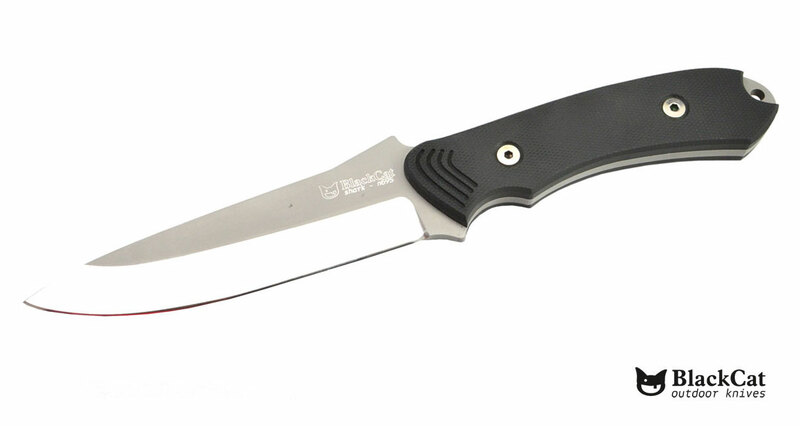 The blade is made of high quality Austrian N695 steel, with a hollow grind. The surface of the blade is high polished and the body of the blade is sanded that creates a beautiful combination and specificity of the knife. The dorsal fin can be used as a thumb rest for a secure grip from above. 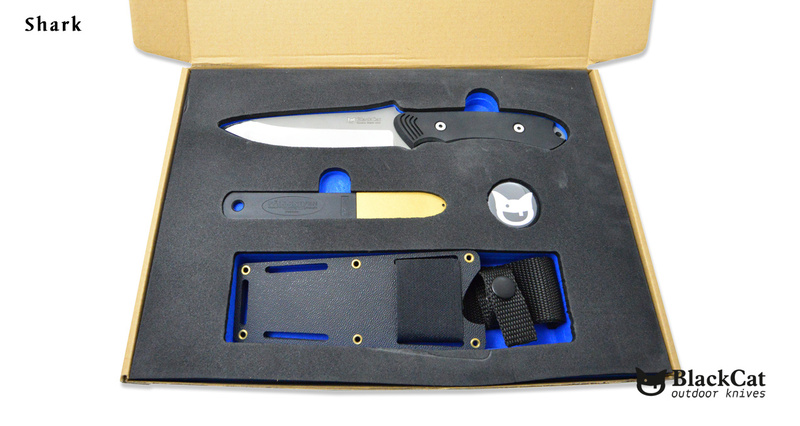 The sheath is made of several layers of durable plastics – ABS with structured surface. Thanks to this material, the sheath is very easily maintained. The venting hole that removes moisture and water during cleaning, occures in the lower part of the sheath. 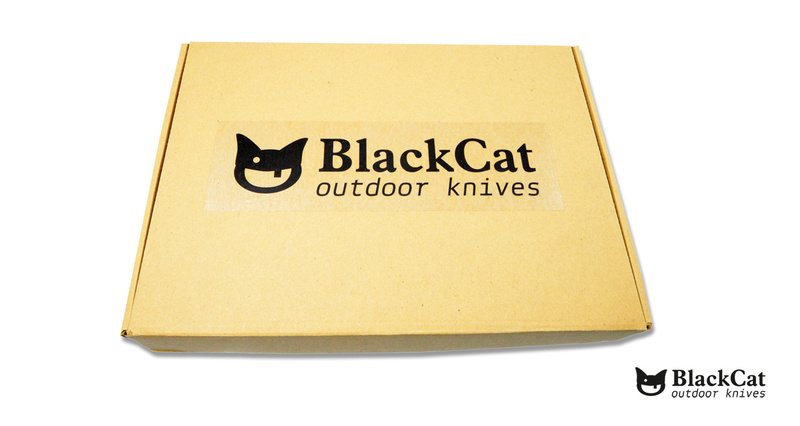 Thanks to a special construction of the sheath knife holds very firmly in. Belt loop can be easily mounted on the right or left side which is ideal for right and left handers as well. 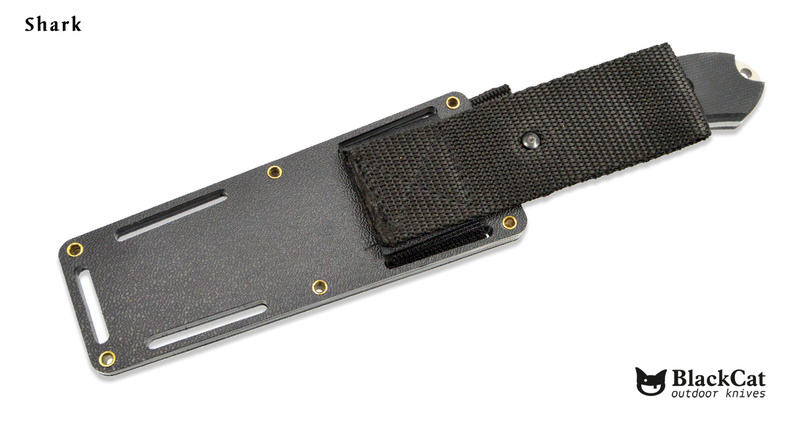 By the help of a piece of Velcro strap it is possible to attach the knife to the belt in horizontal position or upside down position (e.g. to your shoulder strap of your backpack). 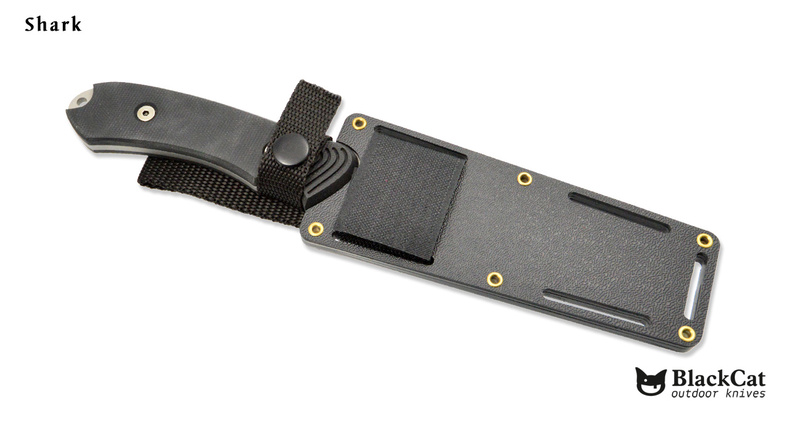 The sheath itself is very light, durable, and compact.